Methyl ricinoleate conversion into γ-decalactone by fungi is already widely used by the aromatic industry. It offers an interesting alternative to chemical synthesis by permitting acquisition of a natural label. Peroxisomal β-oxidation has been described as the probable transformation mechanism. This paper provides information about this metabolism and shows the importance of the step catalysed by carnitine octanoyltransferase. 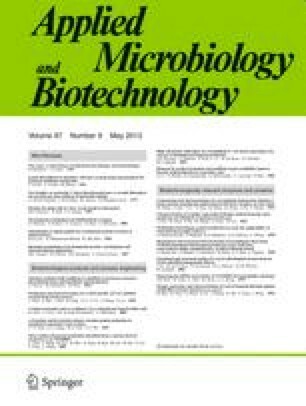 After culture of the yeast Pichia guilliermondii on a medium containing methyl ricinoleate as sole carbon source, we confirmed that mitochondrial β-oxidation could not be responsible for the biotransformation. We also observed the effect of chlorpromazine, an inhibitor of carnitine octanoyltransferase, on peroxisomal β-oxidation and therefore on lactone production, and on lipid accumulation by the yeasts. The presence of chlorpromazine caused a reduction in aromatic specific production yield. This reduction was inversely proportional to the amount of chlorpromazine present in the medium. A considerable accumulation of methyl ricinoleate derivatives was also observed. We therefore concluded that the metabolism responsible for the bioconversion was peroxisomal β-oxidation. The effects of chlorpromazine suggested that the entry of fatty acids into the peroxisomes took place in a carnitine-dependent manner. This step might be a limiting step in the metabolism.